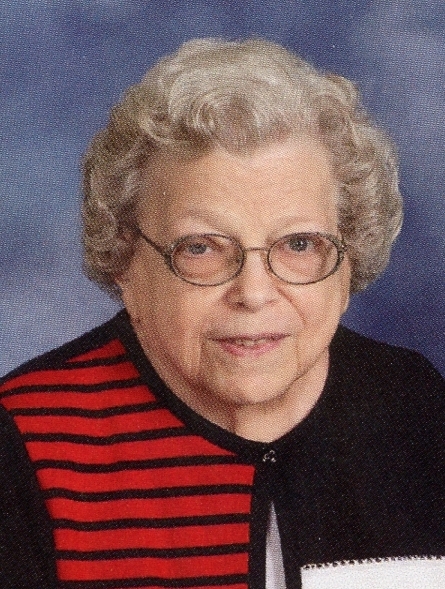 Amy G. Meek, 91, passed away on Thursday, March 28, 2019, at WMHS Regional Medical Center. Born on January 3, 1928, in Frostburg, she was the daughter of the late Arthur S. and Amy L. (Brain) Meek. In addition to her parents, Amy was preceded in death by her sisters, Martha Meek in 2014 and Mary Loar. Miss Meek was a member of the Frostburg United Methodist Church and served on all committees at various times. She was Chairperson of the Trustees, a lay speaker, church historian, voice and bell choir member and teacher of the Adult Bible Class. She had served on the Cumberland/Hagerstown District and Baltimore Conference committees and was treasurer of the Baltimore Conference Methodist Youth Fellowship, District President of United Methodist Women and Baltimore/Washington Conference of United Methodist Women, Secretary of Financial Interpretation, and Baltimore conference Endowment Fund Board of Directors. This is a board that helps to finance and oversee many new Church starts and loans. Amy was active in many community organizations and served on the Frostburg Foundation for the new city library. She was president of the Frostburg Branch of the American Association of University Women (AAUW) and served as treasurer for the Maryland State Division of AAUW and was a life member of the organization. She served as secretary for the Council of the Alleghenies and for the Frostburg Museum Association. Miss Meek attended Hill Street School and graduated from Beall High School in 1946. She graduated from Frostburg State Teachers College in 1950 and earned her Master’s Degree from the University of Maryland. She later worked toward a Doctorate in Education at Teacher’s college and Columbia University in New York City. She taught at Bradbury Heights Elementary School in Prince George’s County for one year, returned to the county to teach grades 2, 3 and 4 at the Old Pennsylvania Avenue School. She then transferred to Hill Street School, 4th grade; the same room where she attended 4th grade as a student. After 8 years there, she transferred to Frost Elementary School as a 5th grade teacher. She retired in 1984 after 16 years at Frost. In addition to her church and civic activities, Amy enjoyed traveling and reading and writing about the history of the area, Methodism and the church. In accordance with her wishes, Amy donated her body to science with the Maryland Anatomy Board. A memorial service will be held at Frostburg United Methodist Church on Wednesday, April 24, 2019, at 11 am with Rev. Kyle Durbin officiating. Memorial contributions in Amy’s honor may be directed towards the Endowment Fund at the Frostburg United Methodist Church, 48 W. Main Street, Frostburg, MD 21532.